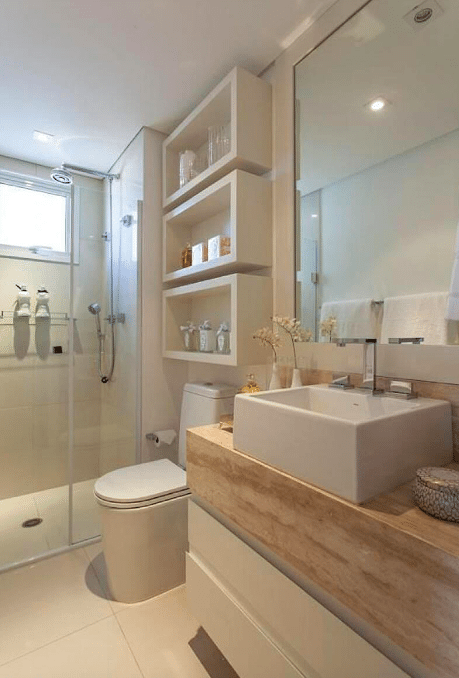 Organizing a bathroom is no easy task. 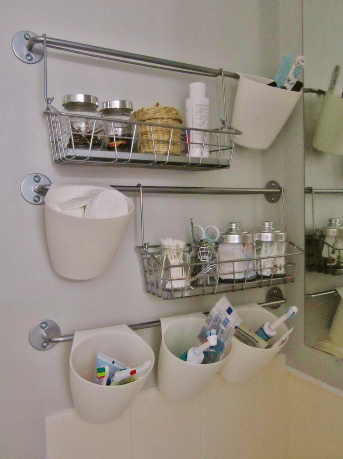 There is just SO MUCH STUFF to organize, and it seems you will never find room for everything! 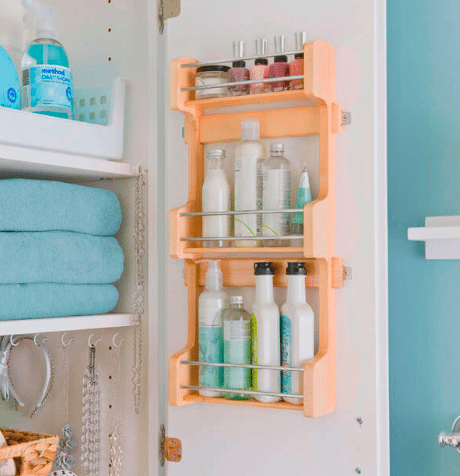 If you’ve had trouble keeping your bathroom organized, these hacks are perfect for you. 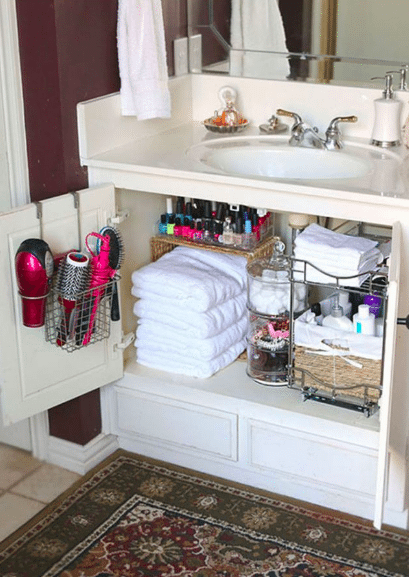 Here are 30 great storage ideas for your bathroom. 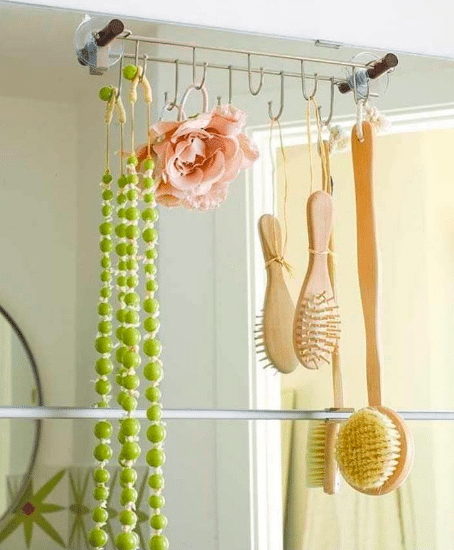 Make use of the space on your cabinet doors. 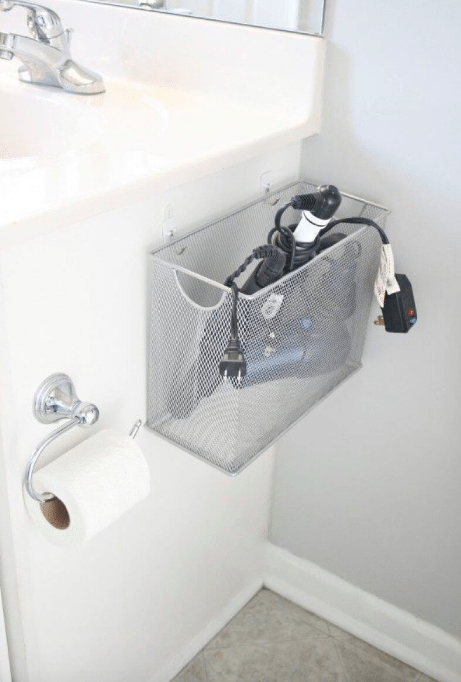 Keep your most commonly used objects here for easy access. Candy dishes aren’t just for candy. 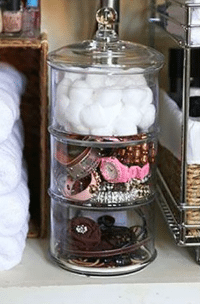 Fill your dish up with cotton balls, hair ties, or whatever else you need organized. 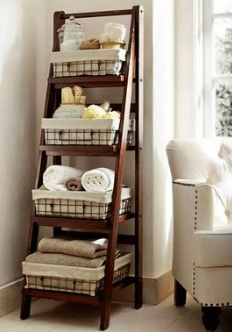 Instead of putting a bunch of extra towels on your rack, use a basket to keep something you really need. 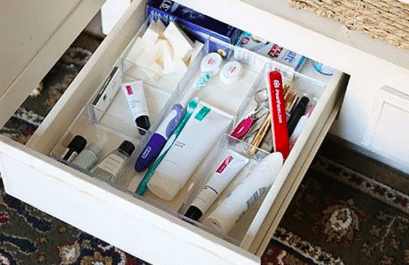 Instead of letting the items in your drawers rattle around, consider an organizer to keep everything in its place. 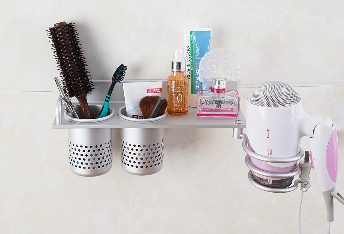 Your shower rack can hold so much more than conditioner. Put anything you want in those little slots. 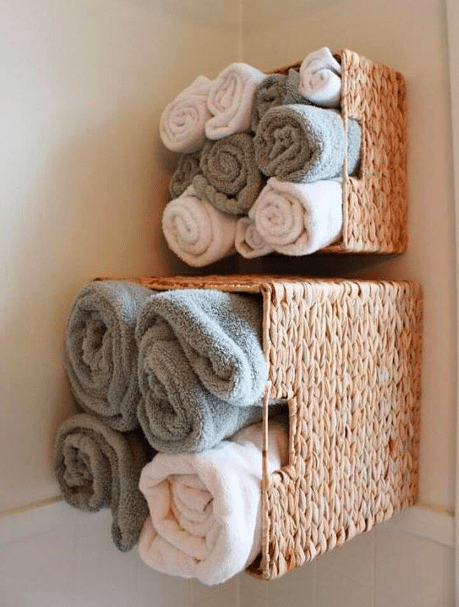 When it comes to storing towels – roll, don’t fold. 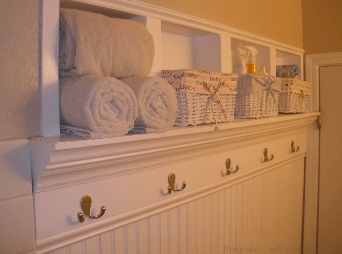 Just about anything can make an adorable bathroom organizer – all you need is a vision! When it comes to makeup, magnets are your best friend. 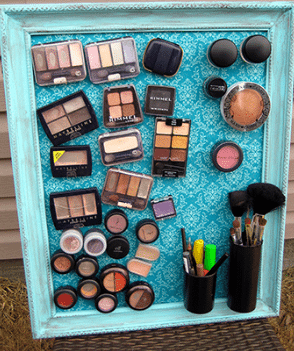 Stick your brushes and eyeshadows right on the wall so you will never lose track of them. You can put just about anything in these babies, and you will be able to reach your items without digging or searching. 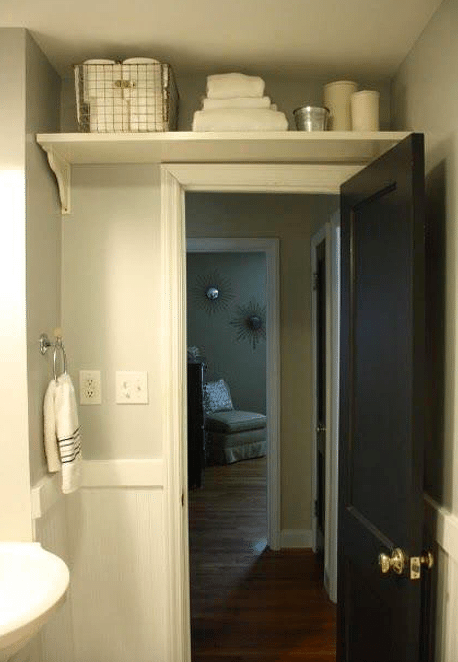 The space above your door goes largely unused. You might as well make yourself another shelf. Not everything needs to be in a long line. Sometimes stacking vertically is your best bet. Corner space is the PERFECT storage space. You can shove whatever you need out of your way while keeping it reachable. It’s a good idea to store your electronics away from everything else. Put them in a stick-on basket, and your problems are solved. If you’re going to have a lot of brushes, you might as well give each its place. 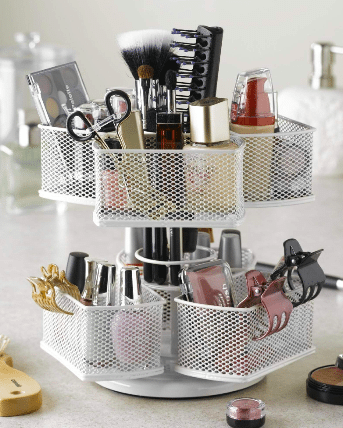 This makeup brush organizer is perfect for girls who love glam. Spice racks aren’t just for the kitchen. 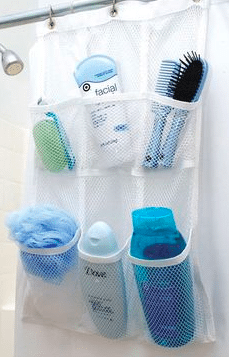 Install one into your bathroom to keep your smaller toiletries organized. 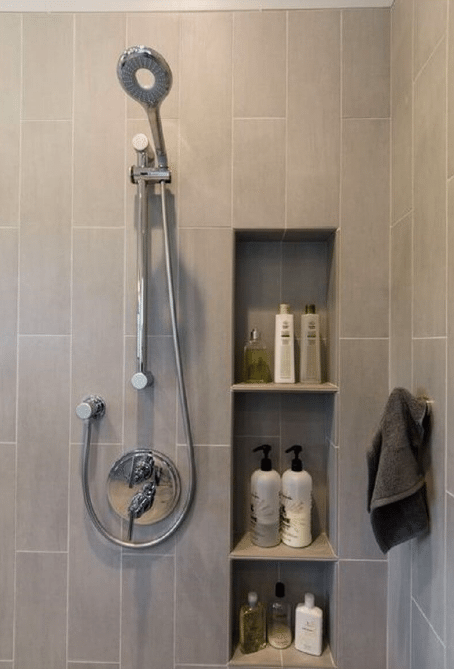 If you have an opportunity to redesign your bathroom, build the shelves into the walls. 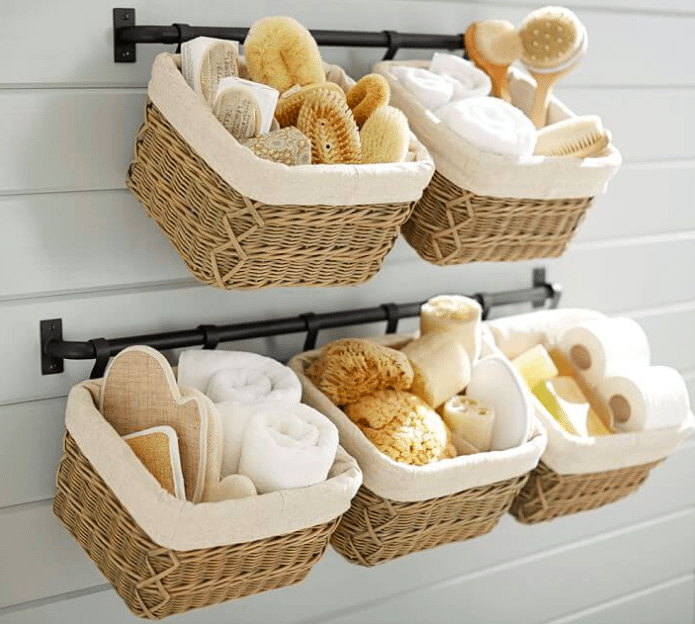 Bathroom accessories don’t need to be the most stunning part of your home. Sometimes functionality is enough. Shelves aren’t usually installed in this area, but it is a great open patch of wall to find a use for. Or 20, or as many items as you need. If it can hang, why not hang it? A little decoration can go a long way. 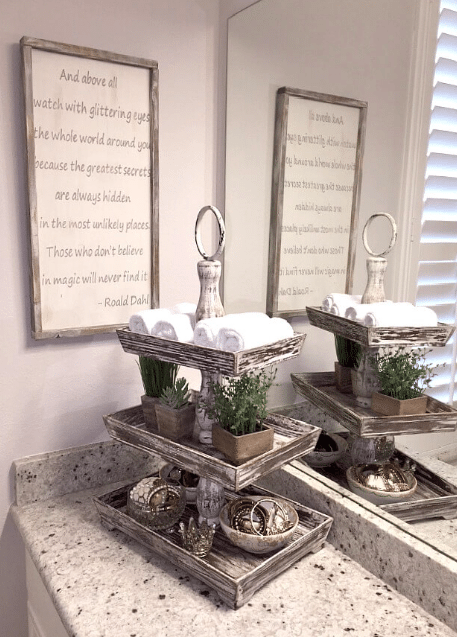 With a few small pieces, your bathroom will look polished and organized. Color coding is key to organization. Leaving items of contrasting colors near each other on shelves will help each color to stand out more. Minimalism is functional and trendy. If you are low on space, you may as well give it a try. 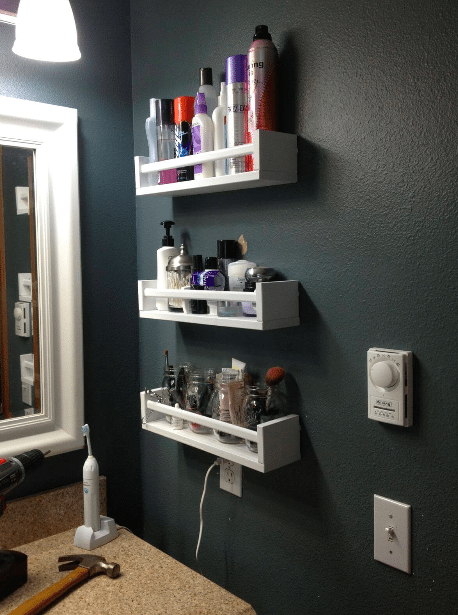 If you don’t want to install shelves, try a hanging fixture instead. It will still work great, and it will look even cooler. 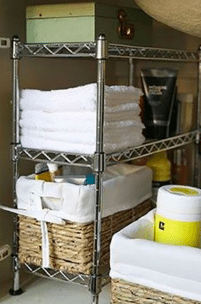 You can put just about anything on a towel rack, so you should definitely make full use of the space. There really are endless possibilities here. These tiny cupboards are so cute. 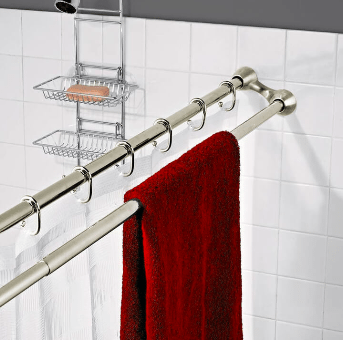 Adding another rack near your shower curtain is a clever way to increase your free space. 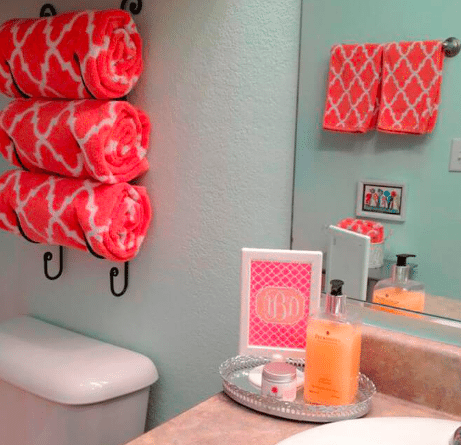 Your towel will be tucked neatly out of the way, and now you can use your wall for something else. 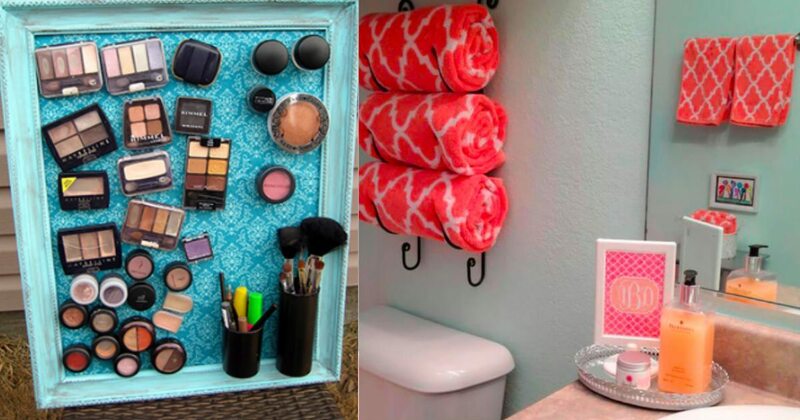 Instead of throwing out your old bookshelf, repurpose it into the bathroom organizer of your dreams. This doesn’t have to be just for makeup. It can be used to store anything small and easily lost. 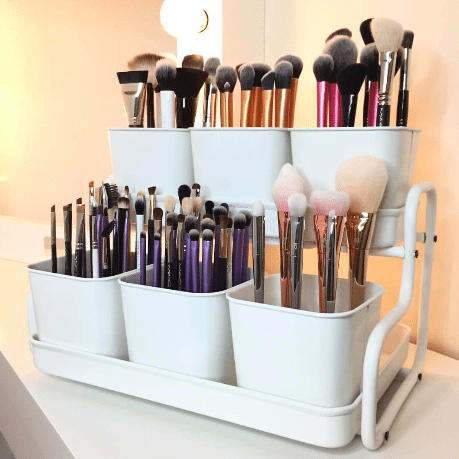 This might look like something you would only find at a salon, but it really comes in handy when it comes to organizing. 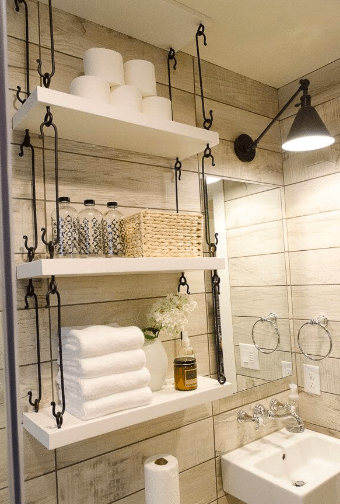 Keeping your bathroom organized will probably never be easy, but you can make it much less stressful with these great tips.